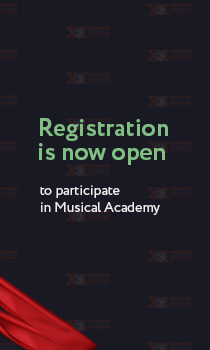 On 15 - 17 February 2019 in Sochi the Fifth School for Young Culture Journalists will be held as part of of the XII Winter International Arts Festival, organized by the artistic director Yuri Bashmet. The school for young culture journalists is a three-day intensive theoretical and practical course. This year the program will have several topics: news reporting, television and radio journalism, tabloid journalism. The goal of the school is to teach young journalists how to write reviews about cultural events, to learn more about the rules of interview, special aspects of live broadcasting and preparing materials on cultural and other topics. Among lecturers and guest speakers are editors and observers of the major federal media: RIA Novosti Russian News Agency, the TV channels of the All-Russia State Television and Radio Broadcasting Company (Russia K, Russia 24, Russia 1), radio stations - Kommersant FM, Orpheus, Radio of Russia, newspapers – Izvestia, Trud, Vedomosti, etc. Besides the theoretical studies, the School will host many practical lessons. The students of the School will get accreditation for all events of the Festival, and in the course of their studies they will have to write a review/story and may interview the artists participating in the festival. We offer you to consider sending one or two young journalists from your editor’s office to take part in the course right in the center of the eventful festival life of the XII Winter International Arts Festival in Sochi. Upon completion of the course, the journalists receive course completion certificates. The School will include workshops, trainings, lectures, meetings renowned journalists. Upon completion of the School, all participants will receive course completion certificates. Please take some time, but we will know a lot about you.